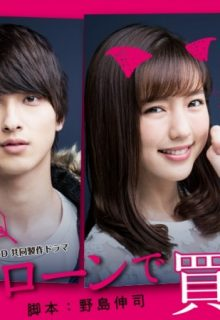 Ukishima Tae (Erina Mano) works at the reception desk for a company. She dreams of marrying a competent man and become a housewife. She has been dating her colleague Shiraishi Shunpey and pretends to be innocent and naive, although in fact she is very smart and likes to speak openly. One day, in order to relieve stress, Ukishima decides to purchase a guy named Setsun Joon(Ryusei Yokohama) as her boyfriend. Setsun Joon has to agree to pay off his debts. “I Bought Boyfriend with Loan” is a 2018 japanese romantic comedy drama.